Multiple mistakes were made by the medical professionals overseeing Joan Rivers’ elective vocal cord procedure earlier this year, a report recently released by the Department of Health and Human Services (DHHS) Center for Medicare and Medicaid Services has revealed. The findings of this report highlight multiple points of medical negligence and could end up playing an important role in court if Melissa Rivers (Joan Rivers’ daughter) ends up filing a medical malpractice case against the doctors and clinic that may have contributed to her mother’s passing. A report released by DHHS has found that there were multiple points of medical negligence that likely contributed to Joan Rivers’ death at an endoscopy clinic earlier this year. According to the DHHS report, Rivers’ did agree to undergo an upper endoscopy (including a possible biopsy and removal of polyps) at Yorkville Endoscopy. As part of this procedure, Rivers’ had also consented to receive anesthesia under close monitoring and was informed of the potential risks of the procedure she was to undergo. Performing another procedure without Rivers’ explicit consent – In fact, before performing the procedure to which Rivers’ had consented, a surgeon performed a different procedure on Rivers without first obtaining her consent. This procedure, which involved placing tubes in Rivers’ nose with a laryngoscope (i.e., intubation), ended up causing Rivers’ vocal cords to seize up, cut off her air supply and render her unconscious. Failing to notice and respond to signs of Rivers’ health complications – As the report points out, the doctors attending to Rivers’ failed to identify obvious signs that Rivers’ condition was deteriorating and failed to intervene promptly to help mitigate this damage. One doctor took a “selfie” of himself and Rivers while Rivers was unconscious. No records were kept regarding Rivers’ weight at the time of the procedure. Documentation regarding the dosage of propofol that was administered to Rivers’ was not consistent with what was noted in her medical records. These findings of medical negligence will likely come into play if or when Melissa Rivers’ decides to move forward with a medical malpractice case against the negligent doctors and others who may have been able to prevent her mother’s death. 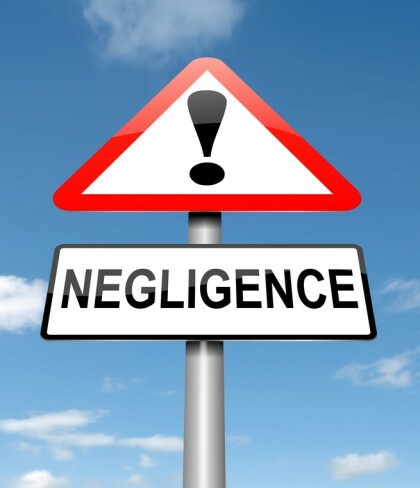 Have your or someone you love been hurt due to any type of medical negligence or mistakes? If so, it’s time to contact the highly experienced Portland medical negligence and malpractice lawyers at the Savage Law Firm. For more than 30 years, we have been dedicated to providing each of our clients with personal attention, respect and the highest quality legal services. Helping you recover from the financial setbacks caused by medical negligence is one of our primary goals. Our Portland malpractice attorneys encourage you to learn more about your rights and case by setting up a free initial consult.